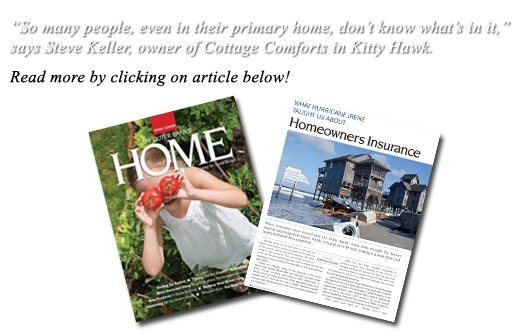 Cottage Comforts is a full-service House Watch and Homeowner Services company located in Kitty Hawk, North Carolina. We provide a wide range of services on the Northern Outer Banks from Southern Shores to Corolla. 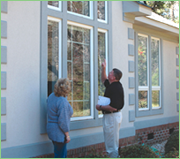 We make a professional commitment to your second home. Cottage Comforts offers professional service and experience to solve problems to enhance your time spent at your Outer Banks home. Our weekly house checks provide a sense of security for your property, identifies maintenance issues and provide minor repair services at a reasonable cost. Cottage Comforts provides weekly House Watch Services to second homes year round and rental homes in the “off-season” from Southern Shores to Corolla . Cottage Comforts can also provide specialty Homeowner Services to save you time and travel.